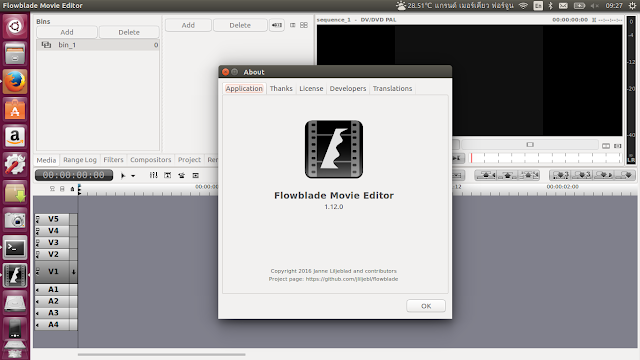 Flowblade 1.12 is a multitrack non-linear video editor for Linux. Flowblade has some operational advantages over other video editors which make it faster. Simple tweaks in the latest version which make it more precise and it is robust and stable by design. 50+ image filters: color correction, image effects, distorts, alpha manipulation, blur, edge detection, motion effects, freeze frame, etc. 30+ audio filters: keyframed volume mixing, echo, reverb, distort, etc. 1. First download .deb file for Flowblade 1.12.0 from here. If you get any dependency errors, you need to install some additional packages as shown.